Medford Area Public School District - What's Special About Medford Schools? Why Medford Schools? You are currently on this page - What's Special? What's Special About Medford Schools? Why Medford Schools? We offer a full-day, twice-a-week 4K Program which incorporates hands on learning that prepares students for Kindergarten. Our elementary schools provide a wide variety of supports to meet the many different needs of our students. We work very hard to identify where a student is having difficulty and from there, we provide the support they need. At the same time, we are creative in finding ways to challenge a student who is eager and capable of more rigor. Our middle school is a vibrant and active building. As students progress to 8th grade, they enjoy the same types of support and challenges they experienced in elementary school. Along the way, they enjoy many more social opportunities, like Fun Nights for 5th and 6th graders and dances for 7th and 8th graders. In 8th grade, students are encouraged to take "high interest classes" in the subject area they are especially drawn to. Our middle school also introduces them to sports and other clubs and activities. Once they reach the high school, they really find out what it can be like to be busy. We offer 11 different Advance Placement (AP) courses. For the aspiring engineers, we have five Project Lead the Way classes to take advantage of. We also offer 23 varsity level sports for boys and girls, along with 29 clubs and organizations. 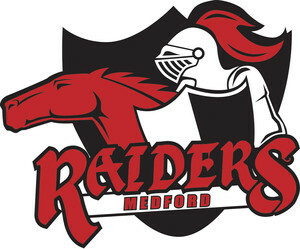 Why Medford? I would say, because we offer a well-rounded education that prepares you for life after high school.